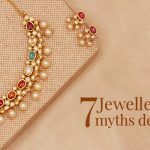 It isn’t uncommon for jewelry to appear dull and lose its shine over time. 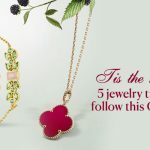 This happens because your jewelry is exposed to dust, pollution, your soap and shampoo, lotions and perfume. All these elements make your jewelry look lackluster. 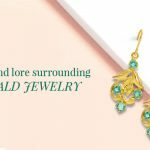 However, there are many easy-fix remedies to bring back the gleam and glow to your precious jewels. 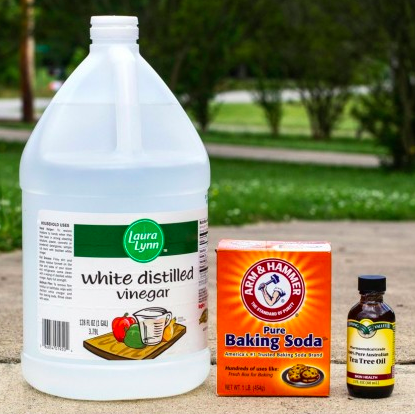 Instead of making that expensive trip to the jewelers to get your jewelry cleaned, take a look at these simple home remedies that you can try with everyday household items. Silver jewelry is always the first to lose its sheen. 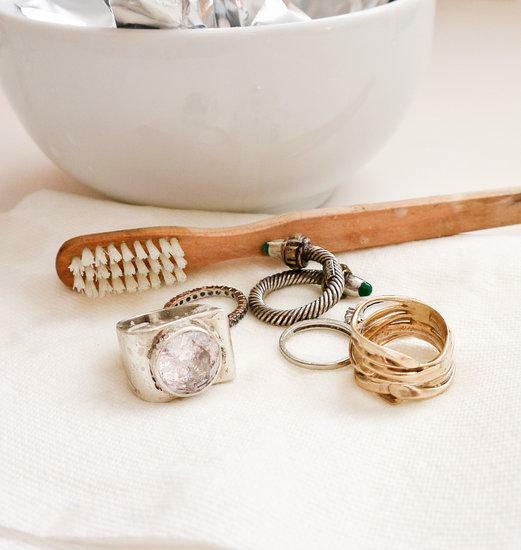 Thankfully, there’s a natural home remedy if you’re wondering how to clean silver jewelry at home. Tarnished silver can be polished using a chemical process called ion transfer. 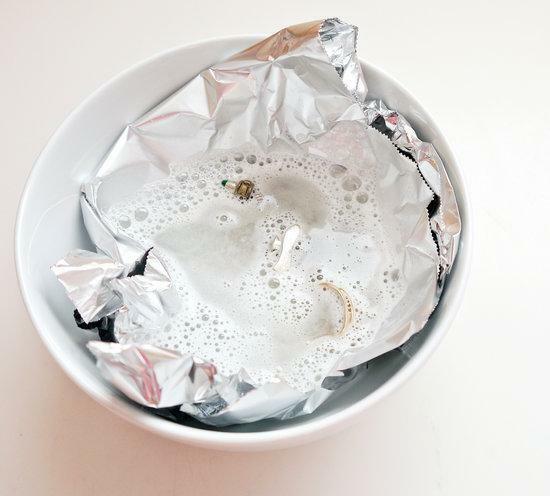 All you will need is some aluminum foil, baking soda, salt, and detergent. 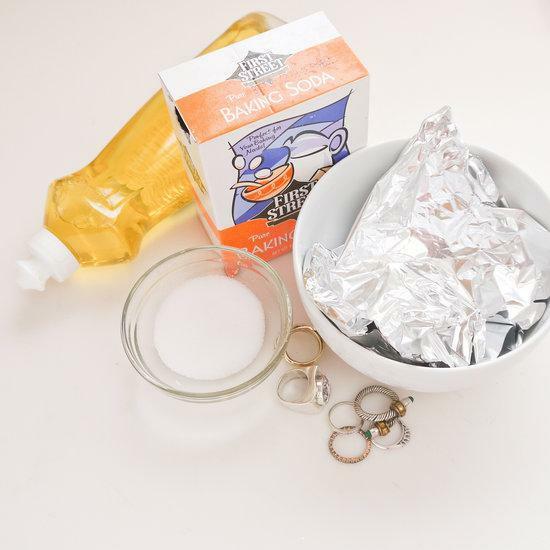 To begin, line a baking pan with some aluminum foil and place your silver jewelry in it. Then put a tablespoon each of baking soda, salt, and mild detergent into the pan. Pour enough hot water to cover your jewelry. Let it soak for ten minutes before flipping them over and letting them soak for another ten minutes. 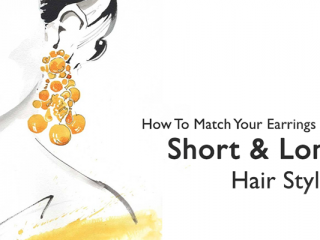 Once 20 minutes is up, remove your jewelry from the dish and rinse it off. 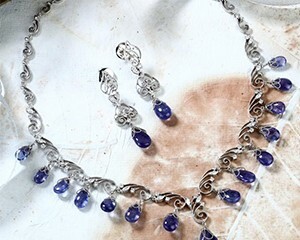 You can also check out our blog on how to keep your silver jewelry sparkling. It is heartbreaking when your once resplendent gold jewelry loses it glow. If you’re looking for a reliable gold jewelry cleaner, then you’re in for a surprise. 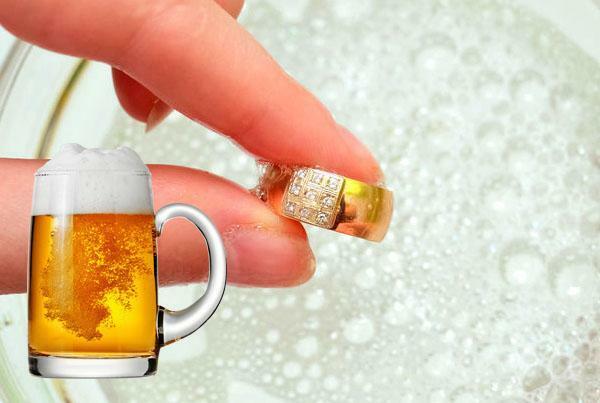 Beer comes in handy when you need a DIY gold jewelry cleaner. All you need to do is get some light bear (opt for a lager or pilsner), soak a cloth in it and then use it to wipe your gold jewelry. 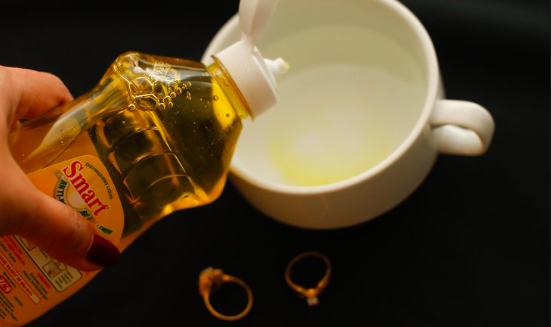 This simple yet effective cleansing method will have your gold jewelry sparkling like brand new! Just bear in mind that beer should only be used with plain gold or gold-plated jewelry and not anything that has stones. 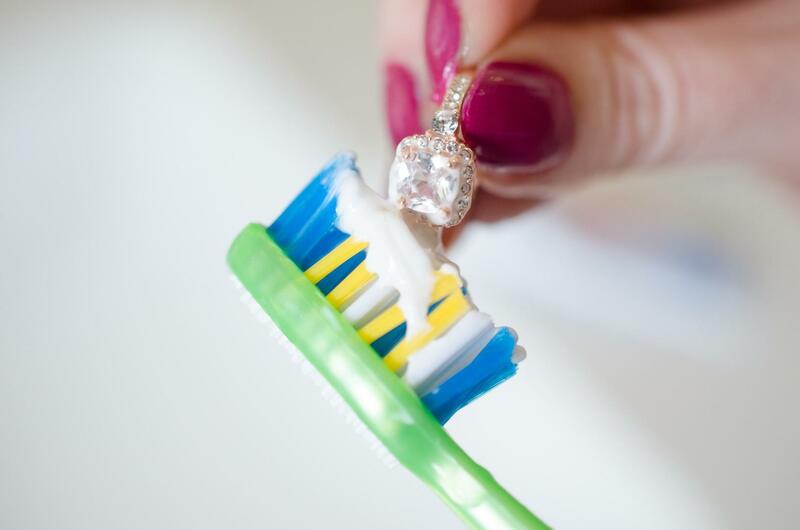 Another surprising home remedy is using toothpaste to clean your diamond jewelry. Diamonds are one of the sturdiest elements, but that doesn’t mean you subject your diamond jewelry to harsh chemical cleaners. Instead, merely polish your jewels with some toothpaste and a soft old toothbrush. Rub a pea-sized amount of toothpaste onto your necklace, earrings or rings, and then gently buff with your toothbrush. Rinse with water once done. Your diamonds will be glittering like new once again. You can also read our informative blog on how to identify real diamonds. 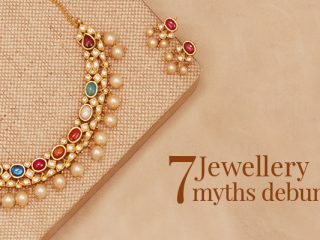 For jewelry that has many stones, you’ll need to be careful as different elements can react differently to chemicals. 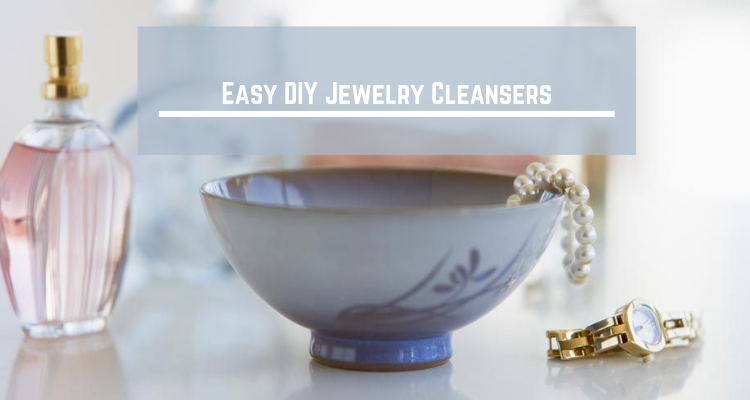 The easiest way to clean stone jewelry at home is using your dish soap. Mix a teaspoon of your dish soap with water and soak your stone jewelry in it for about ten minutes. Gently buff with an old toothbrush and then rinse under cold water. The soap will get rid of any dirt and grime hidden in between your stones. Pearls, emeralds, opal, turquoise, etc. are examples of porous stones. As a result, you need to be extra careful about the kind of cleanser you use to clean them. Anything harsh will discolor your gems or cause irreversible damage. The best remedy will be to use mild soap and water. Don’t soak your jewels in this solution for too long, in fact, avoid soaking at all if you can. Just wash your gems in this mixture, rinse and wipe with a soft cloth to remove stains or dirt of any kind. 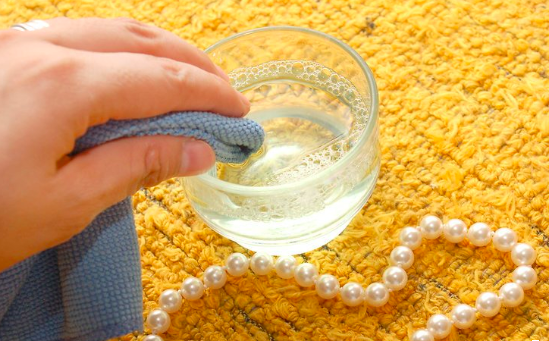 If you’re cleaning your pearl jewelry, read our blog on how to take care of your pearls. Tea-tree oil is one of the best substitutes for several commercially available chemical cleansers available today. It is a natural anti-bacterial and anti-fungal essential oil. Tea-tree oil is known for having a strong scent, but it makes for an excellent homemade jewelry cleaner. Place all your jewelry in a glass jar and cover entirely with white vinegar or witch hazel. Then add a drop or two of tea-tree oil and swirl it around, so everything is thoroughly mixed. Let your jewelry soak in the mixture overnight. 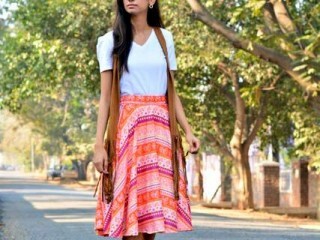 In the morning, coat your jewelry with baking soda and gently scrub with a soft cloth or old toothbrush, before finally rinsing with water. This solution works best for sturdy jewelry like platinum and gemstones, so avoid using it on porous stones. 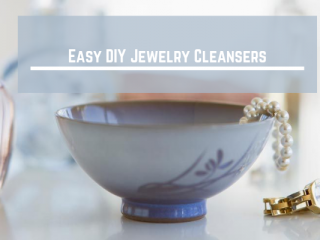 Now that we’ve provided you with several homemade jewelry cleaners, you will be able to avoid expensive trips to your jewelers. 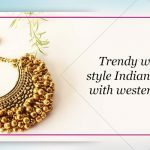 For exquisite handmade jewelry, head over to Gehna. 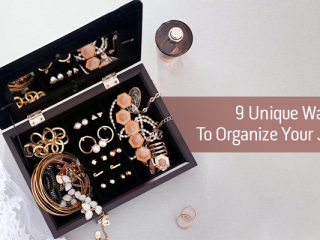 In the meantime, you can check out our blog on tips to organize your jewelry.